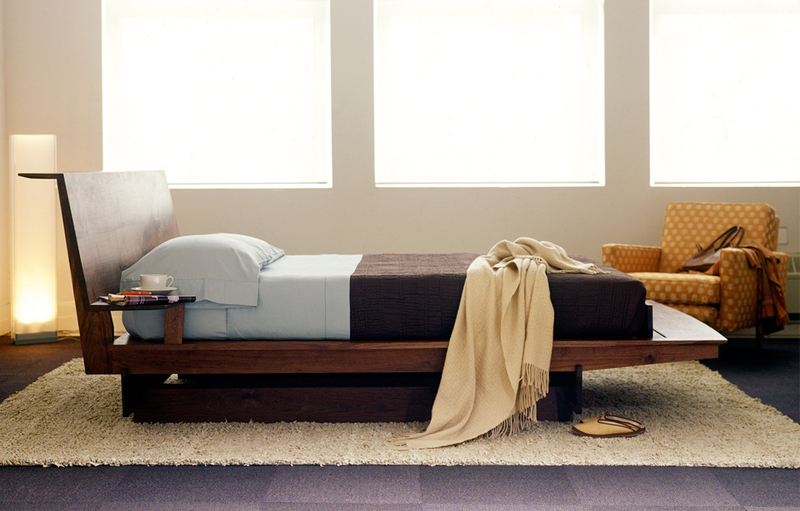 This bed is both serene and dynamic, as it barely touches the ground. Lying on it, you are at rest and in motion. 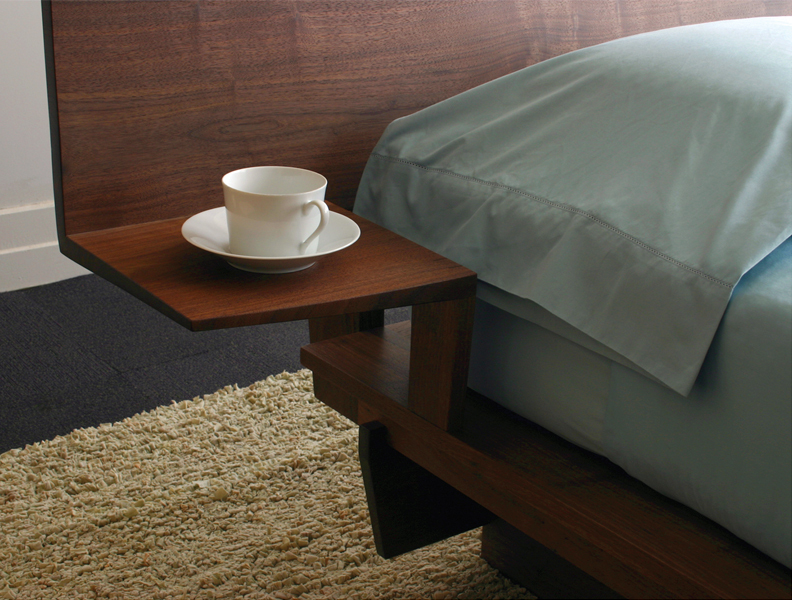 The design is a great way to feature some spectacular wood. 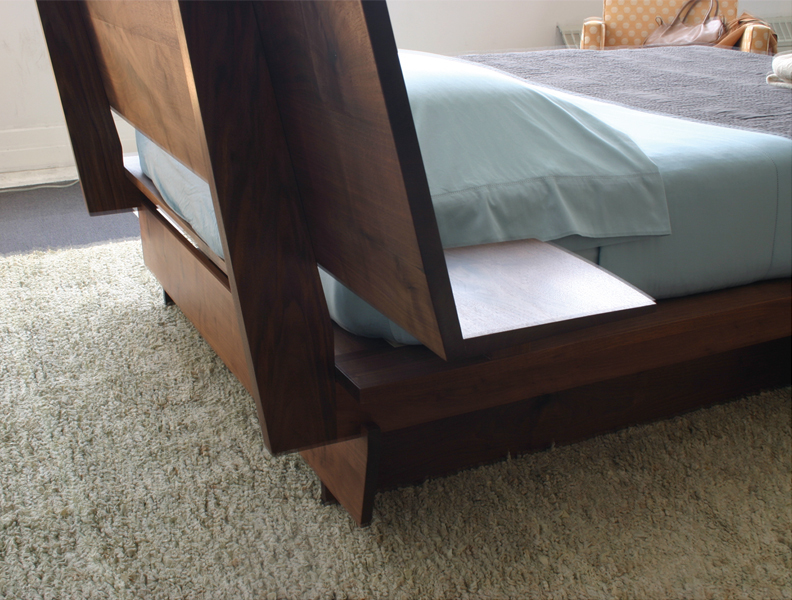 Designed for use without a boxspring.